Formerly known as Eucalyptus ficifolia. The tree is the largest recorded specimen in the world (NZNTT 2011). 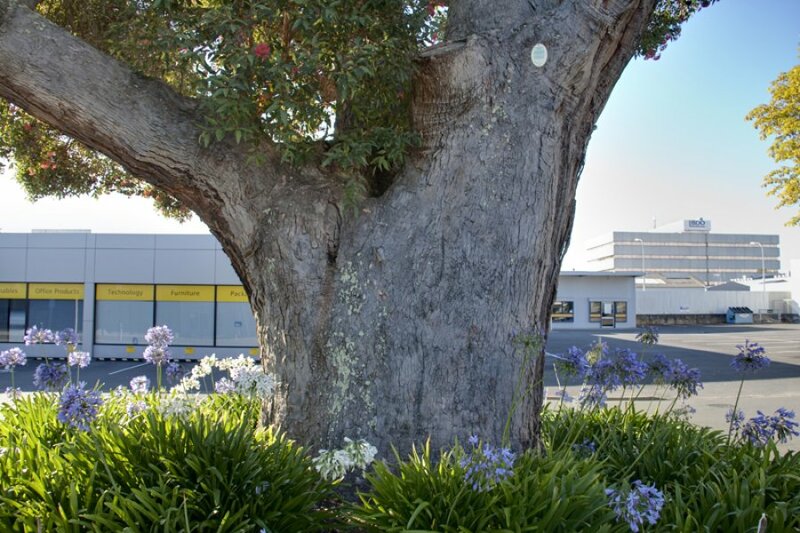 'This tree in it's native habitat grows in a very limited area of coastal belt in South Western Australia. In parts of New Zealand it grows from 6 to 10m. high with trunk diameters that may exceed 60cms' (Ferkins 1993). 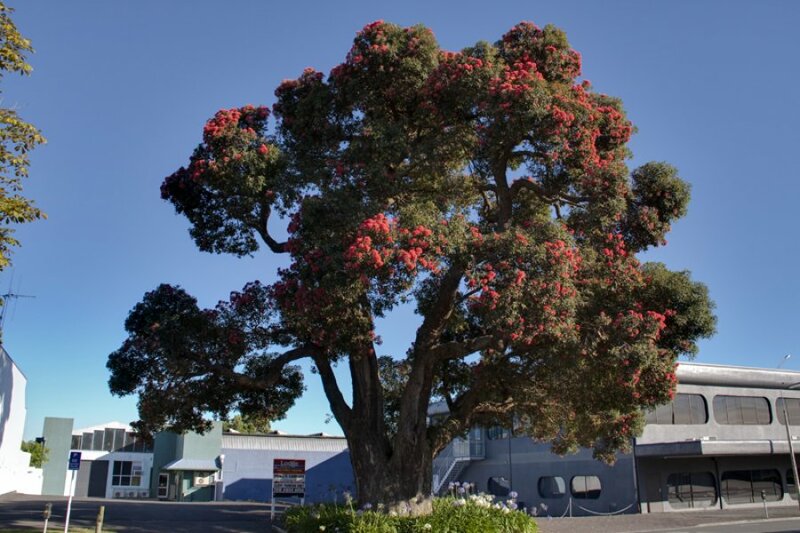 'This tree is the largest tree of this species in New Zealand and perhaps the largest known anywhere. In 1972 it was calculated that the annual increment in diameter was a little over 2.5cm. The tree has maintained about the same growth rate since 1984' Ref. Burstall SW. FM. Report no.17. 1972; p.18. Burstall SW & Sale EV. 'Great Trees of New Zealand' 1984; pp. 66-67. Some branches have been lost but despite this, the tree looks very healthy. 02 Jan 2011 Frazer, D.
09 Feb 1984 Burstall, S.W. 09 Feb 1972 Burstall, S.W.